Clifford Waldon, 48, pleaded guilty to charges of attempted having a weapon while under disability. Waldon is disallowed from possessing a firearm as a result of a 2004 conviction for trafficking in cocaine. Jason Jones, 33, was sentenced to two years in prison for aggravated vehicular homicide and driving with a prohibited concentration of methamphetamine in his system. 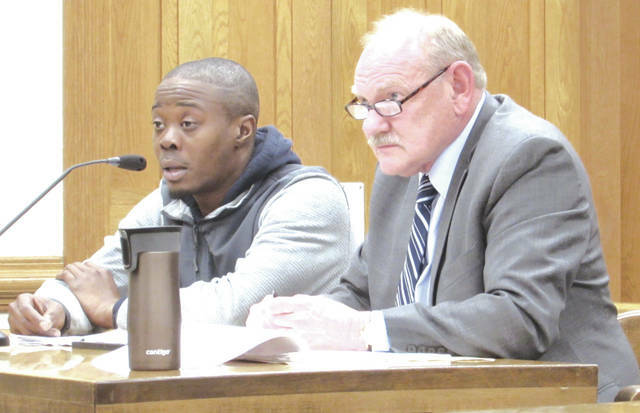 GREENVILLE — A man was sentenced to two years in prison for aggravated vehicular homicide in Darke County Common Pleas Court Monday. Judge Jonathan P. Hein presided. Jason Jones, 33, of Greenville, pleaded guilty to charges of aggravated vehicular homicide, a second-degree felony, as well as driving with a prohibited concentration of methamphetamine in his system, in December. The charges carried combined penalties of up to eight years in prison and a mandatory lifetime driver’s license suspension. 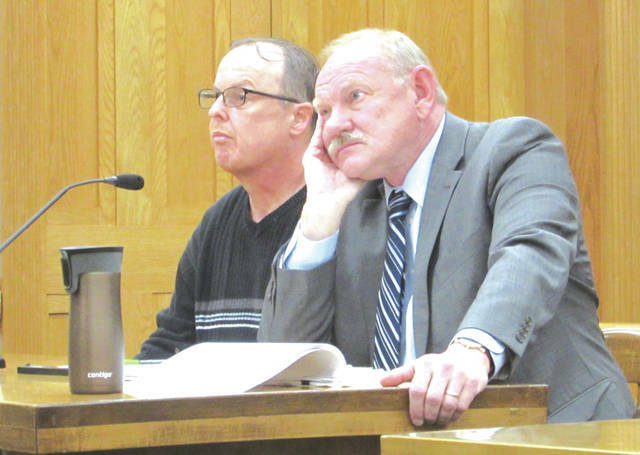 Darke County Assistant Prosecutor Jesse Green and defense attorney Randall Braeden jointly recommended a two-year prison sentence during Jones’ hearing Monday. The charges stem from a single-car crash in February 2018 that resulted in the death of a passenger, 33-year-old Terra Hodge, also of Greenville. Under the terms of his plea, Jones acknowledged that he was driving with a prohibited amount of drugs in his system but not that he was in fact impaired or “under the influence” when the crash took place. Hodge had a fatal dose of fentanyl in her system, according to Braeden, leading authorities to believe that Jones was in the process of trying to drive her to the hospital when their vehicle veered into a ditch on State Route 49 in Darke County. The amount of meth in Jones’ system was just over the legal limit, Braeden said, and Jones said he had not used the drug since the previous night. Jones went on to describe his relationship with the victim. Judge Hein cautioned the defendant against viewing any amount of methamphetamine use as safe or acceptable. Hein sentenced Jones to two years on the vehicular homicide charge, with three years of mandatory post-release control and a lifetime driver’s license suspension, and an additional five days on the count of driving under the influence. Jones must also pay $4,000.66 restitution and a $375 fine. Clifford Waldon, 48, of Greenville, pleaded guilty to charges of attempted having a weapon while under disability, a fourth-degree felony. Waldon is disallowed from possessing a firearm as a result of a 2004 conviction for trafficking in cocaine. Defense attorney Randall Braeden said paranoid delusions suffered by the defendant caused him to hear voices. Judge Hein sentenced Waldon to three days in jail with three days credit and cautioned the defendant’s wife to contact authorities if he were to stop taking his medication. This entry was tagged Aggravated vehicular homicide, Cocaine, Common Pleas Court, court, Darke County Common Pleas Court, drugs, felony, fentanyl, Firearm, Greenville, Gun, Homicide, jail, Meth, Methamphetamine, prison. Bookmark the permalink.